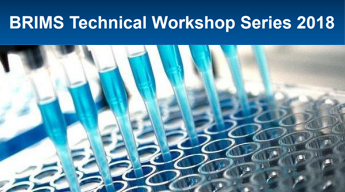 This workshop series feature intensive modules comprising of lectures and practical sessions conducted by a team of dynamic and accomplished scientists. This one and a half day conference targets work readiness amongst medical students with focus on professionalism issues, patient safety, student resilience and mental wellbeing. It is delivered by experienced local and international academics through a series of keynote lectures, plenaries, interactive forum and workshops. 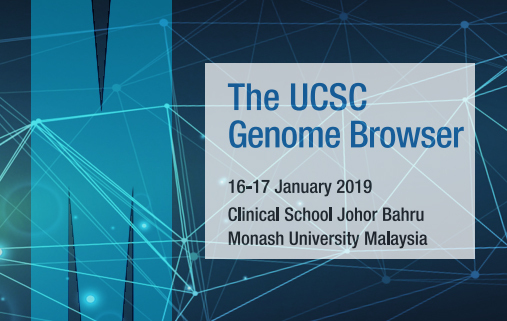 This two-day workshop will give an overview of current sequencing technologies and their relevance for medicine and guide the novice through the latest version of the UCSC Genome Browser. This course will reinforce basic epidemiological concepts, research skills and statistics. It aims to give participants a broad overview on how to design a research study and conduct statistical analysis. This workshop series feature six intensive modules comprising of lectures and practical sessions conducted by a team of dynamic and accomplished scientists. “Voice Out” is an inaugural event organized in conjunction with ‘World Suicide Prevention Day’ and ‘World Mental Health Day’, aiming to propagate the awareness of suicide, factors related to suicide, bullying & victimization, and instilling insight into prevention and management. This symposium on Ageing is organised by Monash Malaysia in collaboration with Newcastle University. It will be attended by renowned neuroscientists from Japan, Korea, Australia and the United Kingdom. The seminar aims to provide an understanding of Health Technology Assessment (HTA) and how it can be utilized in various areas. Leonardo Da Vinci -- Did his 15th Century artistic visions inspire 20th Century Nobel Prizes in Medical Radiology?